Seborrheic dermatitis is a very common skin condition that contributes to “combination skin” and complicates therapy for many skin conditions. Seborrheic dermatitis is the only skin condition that occurs frequently at age two weeks or at age 90. It affects millions of people. It starts in infants as cradle cap (persistent scaling in the baby’s scalp) and sometimes as a red scaling persistent rash over the face. It can involve the neck as well as the armpits, groin and body creases of the baby. Babies typically outgrow it by age 6 months. They may experience seborrheic dermatitis again as a teenager, as scalp dandruff or facial problems. In teenagers and adults, seborrheic dermatitis most often presents as a red scaling patchy facial rash, or as a contributing part of a stubborn facial or body rash. It often complicates acne therapy. Are your doctors unsure whether your skin problem is allergic, eczema, or psoriasis, or just difficult “combination skin”? Your problem may be underlying seborrheic dermatitis. Are you struggling to improve with medication from the dermatologist or pediatrician for a stubborn or recurring skin problem? Your problems may include underlying seborrheic dermatitis. Give a dermatologist a case of severe psoriasis or severe atopic dermatitis and they will hit it out of the park with powerful prescription medications. 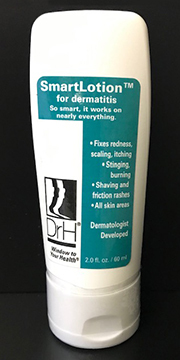 However, for patients with skin problems that may be a mixture or overlap of seborrheic dermatitis and atopic dermatitis, seborrheic dermatitis and psoriasis, seborrheic dermatitis and heat rash, and topical medication intolerance, patients often struggle to get the help they need. Inexpensive, safe and effective medications for seborrheic dermatitis are disappearing. Prescription medication for seborrheic dermatitis is typically $150 or more. This website provides the best advice from 25 years of experience in a very busy dermatology clinic that specializes in these skin problems. We help your doctor’s advice work better for you. When additional specific advice is needed, we supply it.